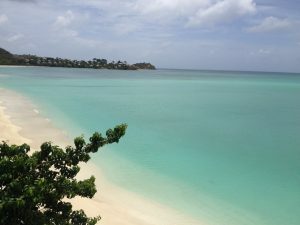 Antigua, is a beautiful island know for having 365 beaches to enjoy one for every day of the year. You can also find yachting and exclusive accommodations for all budgets, offering something for everyone. I had the pleasure of being invited by Antigua and Barbuda Tourism Authority. 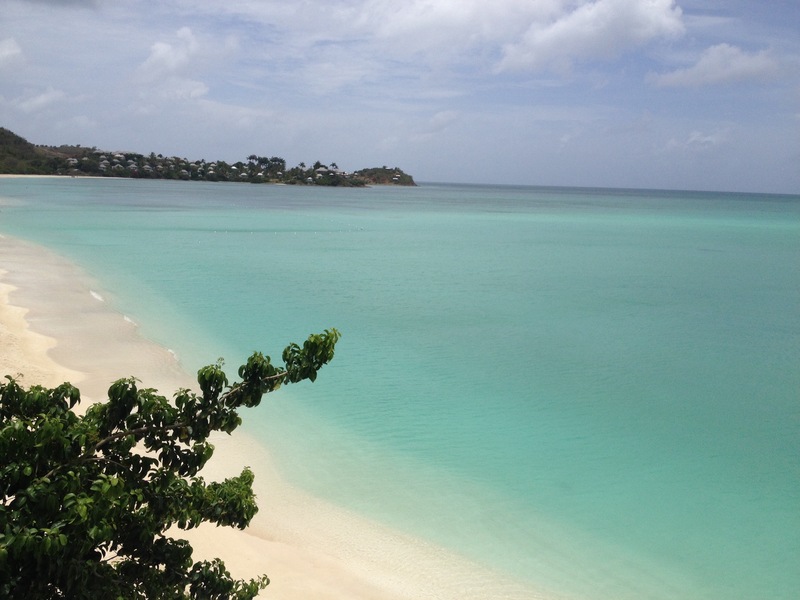 to explore the amazing island of Antigua and visit many of the beautiful resorts Antigua has to offer. It is very easy to get married in Antigua or Barbuda, with no residency requirement and no waiting period. You could have an amazing Destination Wedding stopping in Antigua for the day on a cruise. There is so much to see and do in Antigua, from zip-lining, or just relaxing at one of the 365 beaches, taking an excursion to Barbuda to visit the Frigate Bird Sanctuary, shopping or trying out the local cuisine is just a start of what Antigua offers. For the past 30 years, the Sunday Sunset Party at Shirley Heights has been a big favorite with the locals and visitors for delicious dinners paired with island music and spectacular sunsets. A must see. For more info on Antigua click on the 2016 Information Guide below. Travel Time from New York City is only 4 hours and 13 minutes, Miami 3hrs. 22m, Atlanta 4hrs, 19m, Toronto 4hrs. 50 min, just to give you an idea of how long it takes to get there. Several airlines offer direct flights from North America to Antigua, from major airports. I have listed a few above with travel times. Barbuda’s, unspoiled, secluded beauty was a favorite of Princess Diana, along with her two children. Robert De Niro has also been a frequent visitor. He recently just signed an agreement to create Paradise Found, a $250 million luxury resort. This will be an exclusive five- star boutique hotel, a high-end eco-lodge, with six future planned overwater villas, a marina, a casino and an airport for executive jets. I’ll have to add this one to my bucket list. In the meantime, Barbuda is home to guest houses, cottages, the new Barbuda Belle and the Coco Point Lodge, a secluded family-owned beach resort on 164 acres with a limit of 68 guests. Barbuda is considered one of the most untouched and eco-friendly islands in the Caribbean. Know for its pristine landscapes, its pink and white sand, crystal clear beaches, creating the perfect secluded place to escape from it all. Check out the famous Frigate Bird Sanctuary, home to 170 species of birds, including the magnificent Frigate. Explore the amazing caves. Darby’s Cave is home to a large sinkhole and the island’s largest cave. You can also find world-class scuba diving and snorkeling, with colorful coral reefs , along with 145 offshore shipwrecks to explore on this small island. There are no international flights directly to Barbuda. ABM Air operates 20-minute flights from Antigua’s V.C. Bird Airport. Barbuda Express runs a 90-minute ferry service twice daily, five days a week between St. John’s and Barbuda. Private jet, helicopter and catamaran cruises are other options for arriving in Barbuda.